We have been having some great donations of lovely knitted things that are busy being re-boxed and sent out to refugee camps in the UK. One of the things that we get a lot of are little sleeveless jumpers for babies. 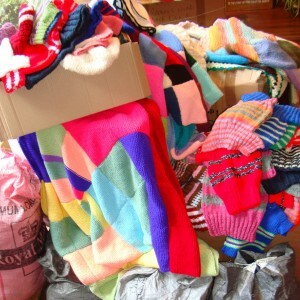 We have had a special request to have sweaters with long sleeves, especially for use in the UK with our lovely summers!